This is the fascinating inside story of the people, forces, politics and diplomacy that have shaped contemporary relations between the United States and China. James Mann, the Beijing bureau chief for the Los Angeles Timesfrom 1984 to 1987, draws on hundreds of newly uncovered government documents, scores of interviews and his own experiences in writing this superb investigative history. Mann begins with an account of the process by which Richard Nixon and Henry Kissinger first courted and built up ties to China’s Communist government in an attempt to find a way out of the war in Vietnam. At first, the aim was to create flexibility for the United States in dealing with both the Soviet Union and China; but gradually, as the 1970s progressed, the opening to China took on a life and momentum of its own. During the Carter and Reagan administrations, American leaders saw China as an ally against the Soviet Union, and a tacit understanding emerged that the United States would not subject China to the standards and principles applied to other countries. We are shown how subsequent administrations failed to construct a new framework for dealing with China–President Bush tried to preserve the old American relationship with Beijing, and President Clinton has been unsuccessful in his efforts to create something new. Mann also reveals little-known episodes in the history of U.S.-China relations: that the price of Kissinger’s first visit to China in 1971 was a secret promise that the United States would never support independence for Taiwan; how the United States and China worked together in guerrilla operations in Afghanistan and Cambodia; how the movement to restrict China’s trade benefits originated and how Bill Clinton came to support these efforts during his1992 presidential campaign. 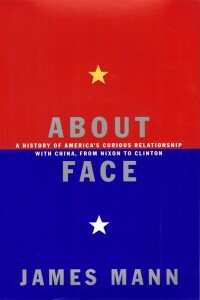 The disclosure of new information, coupled with Mann’s incisive and compelling analysis, makes About Face a work that is sure to shed light on the current debate on the United States’ relations with China.